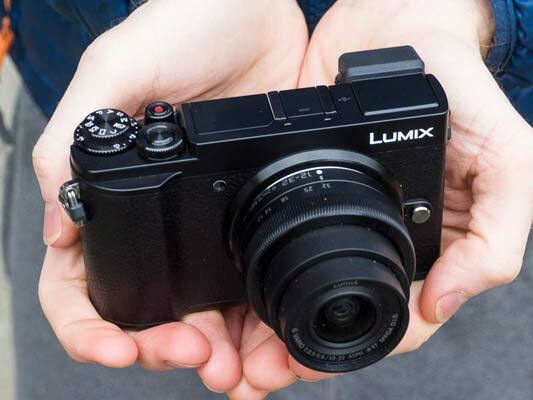 The Panasonic Lumix GX9 is billed by the company as a premium street photography camera. It slots into the range alongside the GX8 and GX80, replacing neither of these models. It's most readily compared to the GX80 and any new features mentioned in this review are generally against this camera. 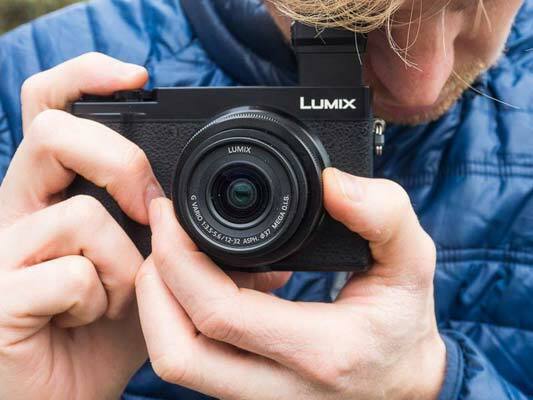 The Panasonic GX9 retails at £699 and shipping is scheduled for 12th March 2018. Those that preorder the camera will get a free 25mm f/1.7 lens with it - that’s a great promotion. As well as being available body only, there are several kit options, including one with the 12-32mm lens, one with the 12-60mm lens and the twin kit with 12-32 & 35-100mm lenses. Prices TBC. And what do you get for your money? Well quite a lot really. 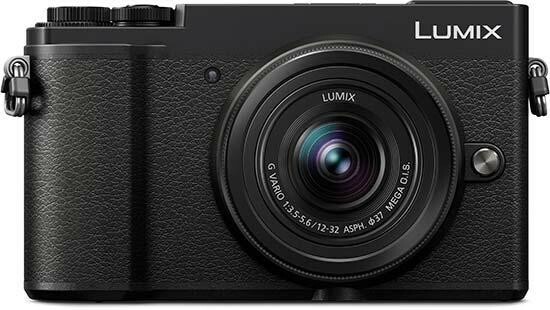 A 20.3 megapixel micro-four-thirds sensor without low pass filter, meaning the images will be a little sharper. 4K video is included here in MP4 format, up to 30fps, plus FHD videos up to 60fps in AVCHD format. Images are stabilised with Panasonic’s 5-axis dual image stabilisation, where up to 6.5 f-stops of stabilisation is possible, depending on the lens in use (give it a try, it’s pretty darn good). Like in the GX80, you get that lovely tilt EVF with 0.7x magnification and 2.76-million-dot resolution. The 3in touchscreen is still the tilt type, plus its resolution has been improved to 1.24-million-dots. There are a few new tricks included and the handling has been improved through the GX9's redesigned body. You can charge the camera via USB through the new sliding type socket cover (it’ll put a smile on your face, trust us) and the power save mode boosts the battery life from 260 shots to 900 shots. Any improvement in the battery life department is welcome. 4K Photo Mode at 30fps now offers Auto Marking, which detects movement and/ or faces in a sequence and marks it to help you find your best shot. No more scrolling through every frame in a 30fps sequence. There’s new Photo Styles too, including L Monochrome D and a Grain Effect for any monochrome mode. Bluetooth wireless connection has found its way into the GX9 alongside Wi-Fi. Bluetooth consumes less power than Wi-Fi and you can remotely control and share images using a smart device via the Panasonic Image App. Let’s now take a closer look around the Panasonic Lumix GX9 camera. 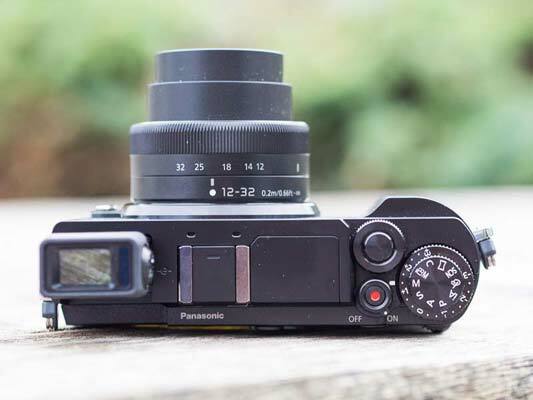 When the Panasonic GX9 is first in hand it feels like a solid bit of kit. If you’ve seen the GX80 before, then the GX9 is largely similar, though there are improvements. Its rectangular form is rather simple, actually. Like the Olympus PEN E-PL9, there are few contours. The viewfinder, flash and hotshoe sit within a flat top plate. The textured front looks great and provides some grip, plus there is more of a thumb grip to speak of now. It’s all very attractive. Packing a built-in flash, hotshoe and viewfinder into such a compact body, along with a multitude of dials and buttons, is no mean feat. Yet somehow, nothing seems too crowded. Panasonic has made the most of the camera real estate. So what has changed on the Panasonic Lumix GX9? First up to mention is a new Focus Mode Lever, where you can choose between manual focus, single AF or continuous AF. This is billed as a premium street photography camera after all, where quick access to focusing control is really important. Then there is the new exposure compensation dial, which is stacked under the shooting mode dial. It takes a tiny shift of your thumb position from the new thumb grip to be able to rotate the dial. We really appreciated quick access to this control. The dial offers a sturdy resistance, with clicked changes in 1/3 stops up to ±3EV. 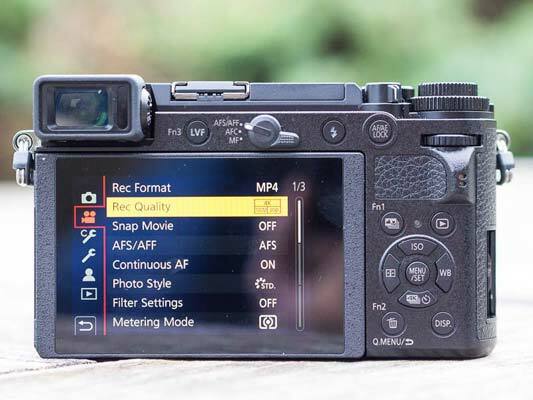 In addition to the new exposure compensation dial are two dials to make changes to exposure and for zooming and scrolling through images in playback. In short, the quick and intuitive access to manual controls in the GX9 is likely to please experienced photographers. The Panasonic GX9 can be charged via USB and it has a really neat sliding socket cover. You push the cover backwards and it disappears. We love it when a new design like this puts a smile on our faces. It’s hard to believe that this design is not more commonplace in cameras. You see, most socket covers are flexible rubber pulled out from the body and can get in the way of cables. This design does not. Only downside to the new socket cover design is that we struggle to see how it could be weather sealed, so it’s unlikely to make its way into high-end cameras. Yes, unlike the GX8, the GX9 body is not Splash/ Dust/ Freezeproof. We did get a brief feel of a new handgrip (MW-HGR2), which is an optional accessory. It fits your hand like a glove and would make a worthy extra with the camera. Truth be told is that the ridge on the front of the camera could do with a little more purchase for a comfortable hold, especially with bigger lenses. Also, if you are shooting in bright daylight it can be very difficult to see the viewfinder clearly. We would strongly recommend the optional viewfinder eyecup, if viewfinder use is your thing. With the plethora of camera/ lens bundles available, we’d like to see the viewfinder eyecup and hand grip as optional bundles too. 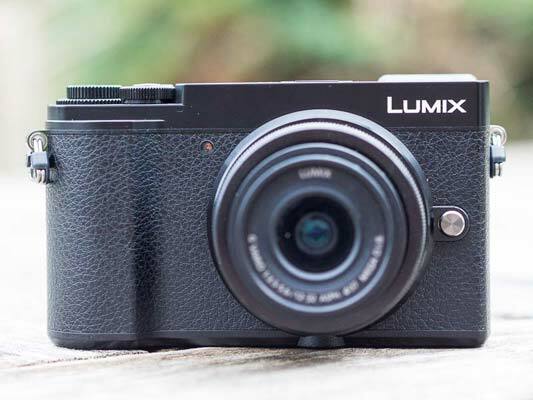 What we have been really impressed with is the overall speed of the Panasonic Lumix GX9. Power up, image processing, image viewing, menu scrolling, touch function, AF. The whole shebang. It all works with great efficiency and we can’t really think of any handling frustrations, save for the limited battery life. Kudos to Panasonic for making a camera that is such a pleasure to use. On battery life - the power-save mode when using the viewfinder boosts the battery life up to 900-shots (from 260-shots). Poor battery life is possibly one of the put-offs to the Panasonic Lumix G system, so this is a welcome feature. For still images, there is a choice between mechanical and electronic shutters. The latter operates silently, which is a big appeal to street photographers who want to take pictures without drawing attention to themselves. Autofocus wise, the GX9 offers a 49-point contrast detection based system. These large points cover a wide area of the frame, so there is some flexibility for off-centre AF. The touchscreen works really well for autofocusing. There’s an auto AF that will do the work for you, plus custom AF where you can select by touch where in the frame you’d like to focus, covering up to 13 of those AF points in one go. Single point AF covers anywhere in the frame while Pinpoint AF is possibly our favourite AF mode for general focusing. It’s more precise than other AF modes for picking out a specific subject, while it is possible to see a histogram of the point selected on screen. That’s a really handy feature in order to make sure the exposure is spot on for the subject in focus. You also get focus magnification on first touching the screen. Finally, there is auto tracking AF and face detection AF. Panasonic introduces 'obstacle avoidance’ to its tracking AF to 'prevent false focusing’. It says the accuracy of AF when tracking a subject is improved, being more able to ignore objects that cut across your path of a tracked subject. While tracking people on the move in street scenes, tracking AF has performed well. The touchscreen remains in play for touch focusing even when you are using the viewfinder. It works really well and other brands could learn something from Panasonic here. Regarding the touchscreen, the position of the viewfinder is better for right-eyed users when the viewfinder is in use. Left-eyed users will discover their noses touch the screen while using the viewfinder and consequently shift the focus area. Touch AF can be deactivated should this become too much of an issue. Our final note on the Panasonic GX9’s ease of use is regarding image stabilisation. It’s claimed for up to 6.5 f-stops of stabilisation, depending on the lens in use. On paper that rivals the best existing stabilisation that can be found in the Olympus OM-D E-M1 Mark II. From our experience the Panasonic stabilisation technology is not quite as effective as it’s rival. As for shooting modes, we like sequence composition, where it is possible to combine multiple images into one. For example, tracking the motion of a person and placing them several times in those different positions within the same picture (tripod needed). There is also a low light/ starlight mode, where the display brightness is boosted in order to view the scene more clearly when all around is dark.